Rachel is a new author to me, and I will definitely be getting the other books in the series. I love reading Christmas stories, especially on a cold January night, were you have either a fire or the central heating on, and cup of tea and you can snuggle on the sofa with a blanket on. That is my idea of heaven. 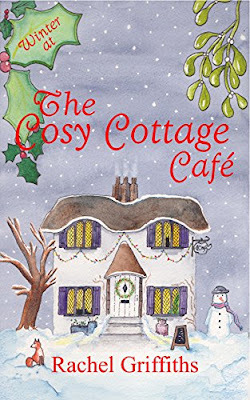 If you like light hearted books with the added dose of humour, then you will like this book. The humour for me had me laughing out loud at certain things. As you know me by now, I won't be revealing any spoilers. I would give this book 4/5 stars, as is available to buy from Amazon and all other retailers. I received this book from the author, in return for a honest review.